My appreciation for dance began as a young child actively involved in dance and gymnastics. I remember being captivated by stunning performances in musicals, and on stage, and dreamed of being able to perform like that. 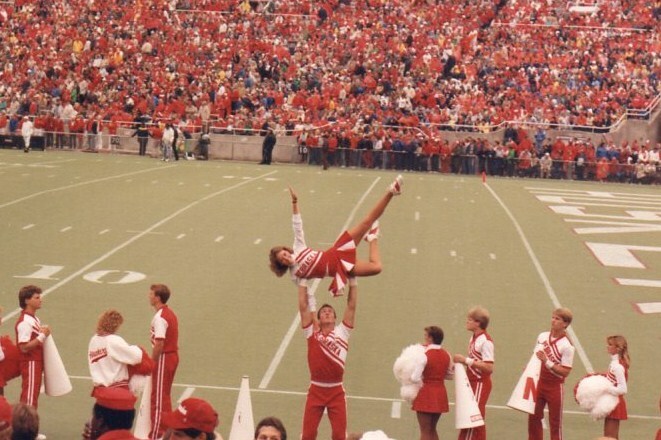 Ultimately, I went on to college and performed with the University of Nebraska-Lincoln dance team my freshman year and on the UNL Yell Squad my sophomore and junior years. Similar to dancers, people usually talk about how cheerleading isn't a sport, until they see the level of athleticism it takes to perform the stunts and routines cheerleaders do. As a University cheerleader, I dedicated numerous hours practicing and training with my team to perfect our performances for games, appearances, and national competitions. Game days alone started early in the morning with pep rallies, followed by over 3 hours of start and stop high energy performances on a hot football field in front of almost 80,000 fans. Fast forward over a decade, and the story begins again with my daughter starting ballet and tap lessons at the age of 3. By the time she reached her high school years, she was dancing almost 30 hours a week. You could say, I was definitely a proud "dance mom" - always cheering my daughter and her team on! However, I believe my role was so much more than that. With my background as an athlete and as a dietitian, I understood that eating well was key for her to succeed - as a dancer and as a student. Supporting her to be properly fueled at the right time meant planning ahead and packing nourishing, wholesome meals, snacks, and fluids each day. I witnessed, that as a result of her commitment to eat well, she was able to train rigorously, maintain focus, decrease injury, and continue to thrive academically. Along with these personal experiences, I have also learned from my professional experience as an eating disorder dietitian how important it is to achieve a positive relationship with food, activity and weight in any sport. With dance specifically, the pressure to be thin often contributes to crash dieting or disordered eating. Unfortunately, this type of unhealthy eating often leads to fatigue, irritability, depression, injury, and decreased performance. The art and athleticism of dance is so amazingly beautiful to me and I want to see every dancer have the opportunity to thrive. With good nutrition, I believe it is possible to achieve your goals and dreams while fully enjoying your experience as a performer. 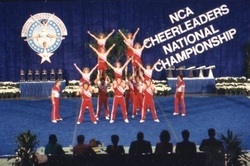 Competing at College National Championships in Florida. 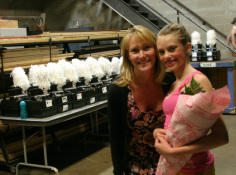 Val with daughter, Lauren, at a studio dance recital.